Clergy Renewal of Vows Service in North and Central Pennsylvania. In 2018, this service was held on the Tuesday before Holy Week. 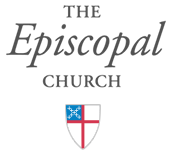 All diocesan Clergy are notified about upcoming events via e-mail. For questions regarding diocesan Clergy events, please contact Canon Alexis Guszick, aguszick@diocesecpa.org.